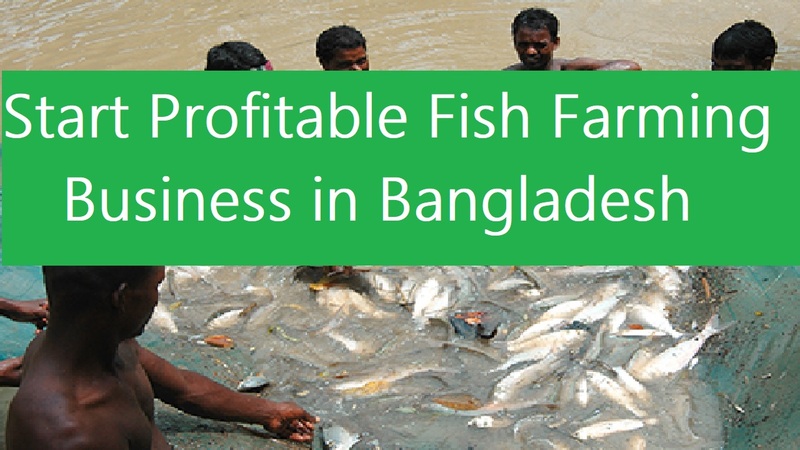 Starting a commercial fish farming business in Bangladesh is one of the profitable business. The total national income of Bangladesh is dependable in many ways on the fish farming business. As an Asian country, Bangladesh has hardly any areas in the country where a river or any other water source is not available. If we say in short then the country is surrounded by rivers and various types of water sources like ponds, streams etc. Also, there is directly or indirectly involved with fish or fish related business of the major part of the total population of this country. Moreover, it’s a very profitable business to venture in Bangladesh to start fish farming. Also, this is for those who are interested in making money from the agriculture industry. As fishes are demanding in all parts of the world, there is a large market for fish. There are lots of advantages of the fish farming business. As it’s said that it’s playing an important role in the total national income of this country while farming fish in Bangladesh. And there are a river and many other water sources available in Bangladesh to start fish farming. If we say in short then Bangladesh is surrounded by rivers and various types of water sources. We also, know that there is involvement of fish farming for a major part of the total population of Bangladesh either directly or indirectly. Those who are living in the southern area of Bangladesh are directly engaged with the commercial fish farming business. As the best place for commercial fish farming in Bangladesh, there are many areas like Khulna, Barisal, Bagerhat, Satkhira etc. These all reasons are indicating the way that you can start a fish farming business in Bangladesh and it has a huge possibility to be successful. As the economy of Bangladesh is mostly dependent on agriculture and agriculture-related business, fish farming business has a great contribution. Also, there are many beneficial causes that attract to start this business. But, it’s also essential to know the business with various aspects before jump on it. You’ll be able to make a good profit by fish farming in Bangladesh if you go through some easy and simple steps. Then you’ll find that starting a profitable fish farming business is not too difficult. Well, let’s know the steps that are essential to start the business of fish farming. The most important part of the fish farming business is to select a suitable land/area. Although some areas are suitable for specific fish species, almost all places of Bangladesh are suitable for fish farming. For instance, if you select the southern part of the countries then it’s suitable for saltwater fish farming. It’s time to make a well-designed pond with the availability of all types of required facilities for fish farming business after selecting a suitable farmland. Depending on the fish species and production system, do the design of the pond. And the farmer used to make large ponds by making an embankment surrounding the flat land in the southern part of Bangladesh. As this type of pond is called “Gher”, this ghers are generally used for shrimp production by using traditional farming methods. Depending on the nature for growth, the farmers make a sluice gate for filling the gher with river water, stock some shrimp minnow. But, according to your location and desired fish species, you have to make a properly designed pond. So, you should let the fish grow happily ensuring a good environment in the pond. According to your location and market demand, you should select the fish species. For example, Tilapia fish farming business is not only very profitable but is a common fish species of Bangladesh. Also, it’s highly suitable for commercial production that suits in every place of this country. But, shrimp is the widely cultivated fish species in southern parts of Bangladesh. Moreover, there is a great demand and high value in the local and international market of shrimp. When you use high-quality fish feed, it ensures maximum production. Because most of the farmer depend on natural fish feed, they have no interest in supplementary fish feeding. However, you must have to feed your fish high quality and nutritious food for commercial production and high profit. There has availability in the market of various types of fish feed prepared for commercial production. Also, you have to learn about the nutrition requirements of fish and buy all the feeding elements separately if you want to prepare the feed at home. After that, you have to mix it in the proper ratio. So, always try to add all types of nutrient elements, vitamins, minerals, salt etc while making supplementary feed for fish. As you need to always take good care of your fish, do all tasks timely. So, change the water after several periods if good water source available. And it’s essential to keep the pond environment suitable so that fish can get proper growth and production. Also, perform testing the water, soil and fish health on a regular basis, which is also vital for fish health. And if something goes wrong then make a stock of necessary medicines and use them timely. Moreover, avoid entrancing of all types of harmful animals and predators like frogs, snakes etc. You can also do this business along with your current job or profession if facilities available. This is because fish farming business in Bangladesh is a lucrative one. As all types of fish have a huge demand in the local and international market, the marketing of fish products in Bangladesh is very easy. That’s why you need not think about marketing the fish because you can easily sell the fish in your local market. So, just do the other steps perfectly if you want to start a fish farming business in Bangladesh.